leah fay goldstein: because he wouldn't survive an apocalypse. because he wouldn't survive an apocalypse. 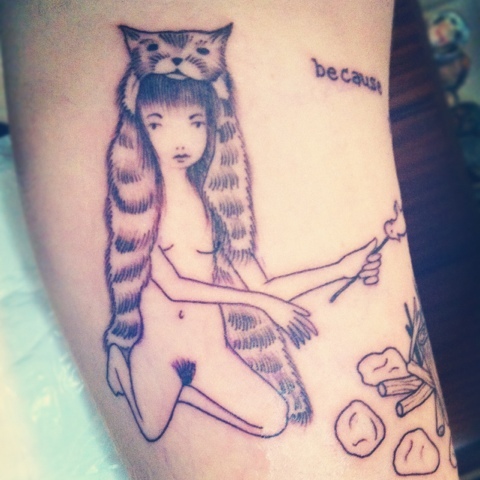 dearest carli got my drawing tattooed on her inner arm the last time she was in from Halifax. by Carlos Ocegueda at speakeasy.